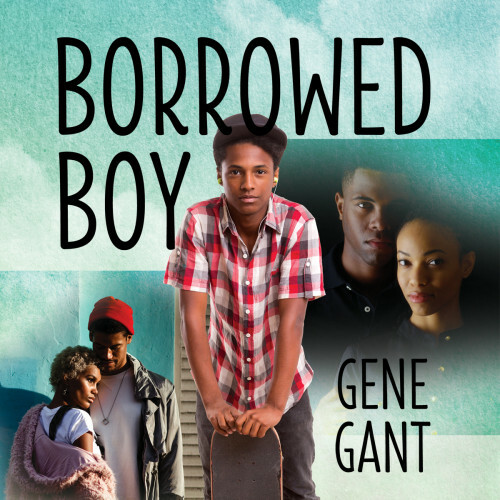 At another stop on my blog tour for Borrowed Boy, I discussed how I came up with the initial idea for the story and developed it. The premise came to me after I’d had lunch with a couple of friends where we discussed, among other things, the books we were looking forward to reading in the coming year. On my way home, I stopped for a red light, and my mind wandered right into this question: What if a kid was happy with his life and then found out it was a lie? That kid turned out to be Zavier Beckham, and it took a few days of sifting through possibilities for me to settle on the pivotal event that flips his life upside down. For the story to work, the parents who adopted Zavier and the parents who birthed him had to be innocent. Both sets of parents had to have a legitimate and untainted interest in wanting him as their son. When I considered kidnapping as the pivotal event, it raised a mountain of questions. Just how, after the kidnapping, does the baby wind up being adopted? Wouldn’t the kidnapper ask a ransom of the birth parents? Wouldn’t they pay the ransom to get their son back? Ah, but going the ransom route meant law enforcement would be involved, or the well-to-do birth parents (I envisioned them swimming in money), would hire a private detective or some other security agency. Trying to collect a ransom would be a riskier proposition for the kidnapper than say... selling the baby. I knew, from media reports I’d read and watched, that child selling occurs in the United States and around the world. Until I did an internet search on the topic, however, I had no idea how extensive and tenacious the practice is. Few things disturb me more than the exploitation of children and the elderly. Someone very close to me was sexually exploited as a child and suffers the ramifications of that to this day. The subject works its way into many of my stories, which is probably, in part, a manner of coping for me. It’s my way of spreading the word that this is happening and that we, as a society, need to be doing more to address it. But I’m digressing, so back to the subject at hand. Zavier’s adoptive parents aren’t the kind of people who’d buy a baby. How, then, do they legally adopt a stolen child? In our country there are both state and federal laws against the buying and selling of children. But it is perfectly legal to make payments to a birth mother reimbursing her for expenses incurred in carrying and delivering the child. A criminal ring trafficking in babies could, through an unscrupulous attorney or adoption agency, use natal expenses to essentially buy a baby and then “sell” it to adoptive parents, recouping the birth expense payout and tacking on legal and/or administrative fees to turn a profit. Such rings, unfortunately, do exist. I found online accounts of two that were broken up by the FBI. So I had a viable framework for how Zavier’s life gets torn apart. And I was left with the disturbing knowledge that US law enforcement, particularly on the federal level, isn’t adequately equipped to combat child trafficking. Our law enforcement agencies need more resources and training. They also need the help of people like you and me. We must be vigilant. Below is a link to UNICEF USA’s page on child trafficking. You can find more information on the subject, including signs to look for that may indicate a child is being trafficked. Zavier’s story is one of discovery, growth and hope. More than anything, I wish readers of my stories to come away with the message that we are together in this big messy cauldron called life, and that we must take care of each other.